If you’ve been watching the news as of late, you probably heard about a record lawsuit in California. A state court recently ordered Monsanto to pay $289 million in damages to a groundskeeper who developed non-Hodgkin’s lymphoma (a form of cancer). In the landmark case, the plaintiff argued that decades of exposure to RoundUp™ (the trade name for Monsanto’s glyphosate chemistry) led to his medical condition. After listening to arguments from both sides, a jury of 12 sided with the plaintiff. Monsanto has already stated multiple times that it will 1.) appeal the decision and 2.) continue to defend the position that glyphosate is a safe chemistry that has been used for decades. As of September 5, 2018, over 8700 lawsuits have been filed against Monsanto. Regardless of anyone’s opinion on the verdict, there can be no doubt the floodgates have been opened to many more impending lawsuits. Right now, glyphosate is in the hot seat, but one has to wonder if other pesticides will be next. Even though Turf Care Supply Corp. does not, and has never offered glyphosate in any of its products, this trending topic has led to a significant increase in customer questions. Many customers have also inquired whether or not glyphosate is safe to use. Since there are multiple opinions on the topic, we decided to only provide the facts. This way you can decide whether you think it’s safe after we reveal the details of the Glyphosate Debate. In this feature, we’ll learn how glyphosate works and why it’s been a frequently used tool in ag for many years. Most importantly, we’ll examine what authoritative bodies have to say regarding whether or not glyphosate is safe. We’ll also review the precautions consumers should take should they decide to use this herbicide. Glyphosate is a non-selective, broad spectrum, systemic herbicide designed to kill most plants. Glyphosate is an organophosphonate that inhibits an enzyme found only in plants called 5-enolpyruvylshikijmate-3-phosphate synthase. Essentially, glyphosate prevents plants from being able to synthesize three key aromatic amino acids. Since amino acids are the building blocks of proteins, and proteins are what catalyze metabolic reactions in all organisms, once plants can no longer synthesize these amino acids, they starve and eventually die. Glyphosate is applied foliarly and translocated to mitotic sites in the plant. Glyphosate begins to desiccate many plants within 6-12 hours and can kill smaller weeds in only a few days. How Did Glyphosate Impact the Ag Industry? Glyphosate was introduced to the market in 1974 as a means of killing weeds in farm fields. A few decades later, Monsanto came out with Round-Up™ Readycrops. These genetically modified crops were given genes that essentially made them resistant to the effects of glyphosate. The release of RoundUp™ Readycrops was a monumental game changer in ag worldwide; farmers could now spray their fields with glyphosate and effectively kill all the weeds that were competing for space and nutrients withoutharming the crops. As a result, crop yields increased significantly. RoundUp™ Ready crops are used all over the world today, and are a key component to helping farmers deliver consistently high yields. The success of this technology has also brought about a few challenges. As is with any population within species, genetic variation exists from one organism to another. Applying this principal on a large scale, it is expected that some weeds are naturally more resistant to glyphosate than others. 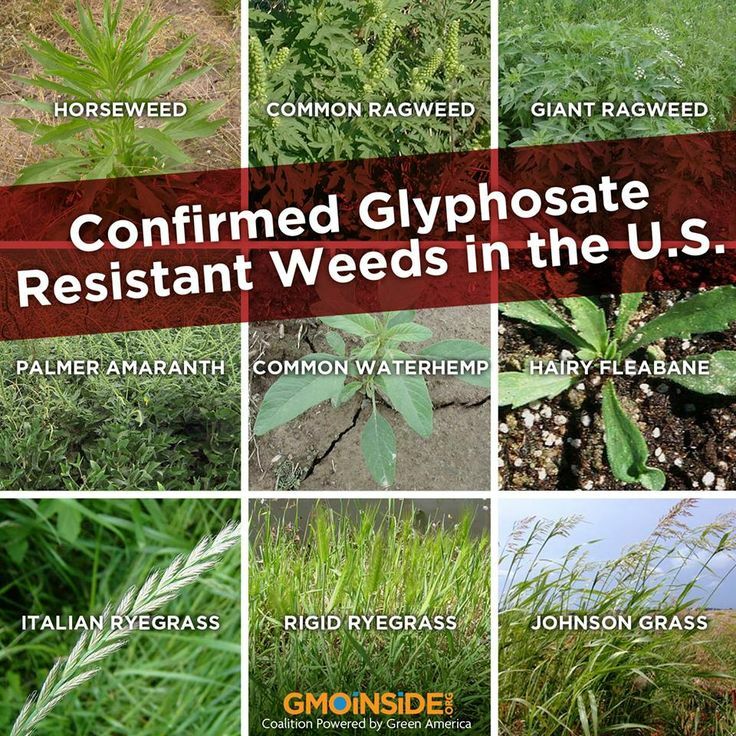 For example, in a field of millions of weeds (assuming all of the same species), if a few hundred weeds are glyphosate-resistant, these weeds will breed and produce an entire generation of glyphosate-resistant weeds; hence the problem ofherbicide resistance. When this occurs, glyphosate’s efficacy becomes markedly reduced or completely inhibited. 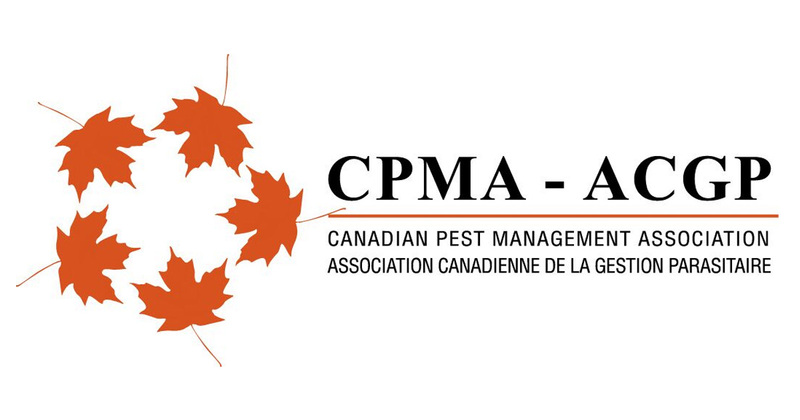 Agronomists, geneticists, molecular biologists, and chemists are constantly trying to stay ahead of the resistance curve, as this problem extends to all classes of pesticides (including insecticides and fungicides). Many are concerned about proliferation of “super-weeds” (or super-resistant weeds) in the ecosystem, making the use of glyphosate on a large scale a topic of controversary. Although this concern merits discussion, glyphosate is currently in the hot seat because of the accusation that it causes cancer, not that it results in the release of super weeds into the environment. Given the recent news, the one lingering question on everyone’s mind is: “Is glyphosate safe?” In other words, “Does short or long term exposure to glyphosate cause cancer or other adverse effects?” You be the judge! Review the results and responses of authoritative bodies below on the amount of risk they have found glyphosate has to human health (when used as directed). IMPORTANT! - As stated before, Turf Care Supply does not offer glyphosate in its product lineup, and thus will reserve an official position on this issue. We do, however, recommend that you scrutinize these authoritative agencies’ positions, as well as others with differing opinions, and then formulate your own conclusions based on science and factual findings. The entities listed below were selected without bias. “Is glyphosate likely to contribute to the development of cancer? When high doses were administered to laboratory animals, some studies suggest that glyphosate has carcinogenic potential. Studies on cancer rates in people have provided conflicting results on whether the use of glyphosate containing products is associated with cancer. Some studies have associated glyphosate use with non-Hodgkin lymphoma. Has anyone studied non-cancer effects from long-term exposure to glyphosate? Glyphosate exposure has been linked to developmental and reproductive effects at high doses that were administered to rats repeatedly during pregnancy. These doses made the mother rats sick. The rat fetuses gained weight more slowly, and some fetuses had skeletal defects. These effects were not observed at lower doses. No information was found linking exposure to glyphosate with asthma or other diseases. Are children more sensitive to glyphosate than adults? There is limited evidence in humans for the carcinogenicity of glyphosate. A positive association has been observed for non-Hodgkin lymphoma. 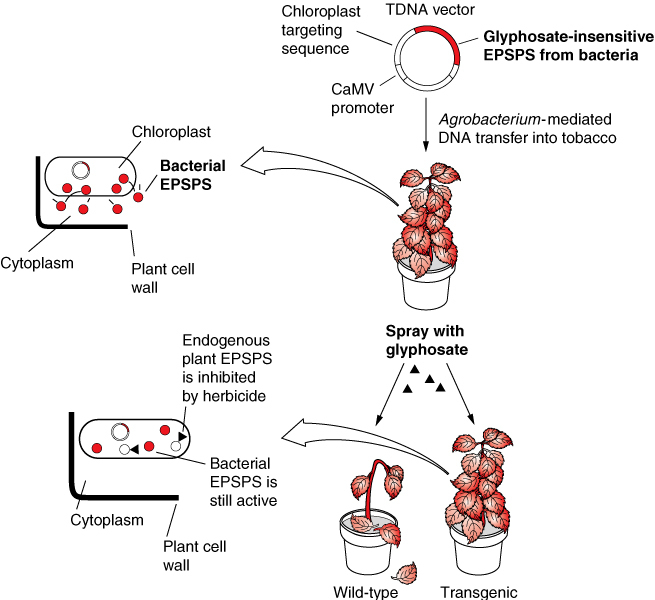 There is sufficient evidence in experimental animals for the carcinogenicity of glyphosate. Glyphosate is probably carcinogenic tohumans (Group 2A). In making this overall evaluation, the Working Group noted that the mechanistic and other relevant data support the classification of glyphosate in Group 2A. In addition to limited evidence for the carcinogenicity of glyphosate in humans and sufficient evidence for the carcinogenicity of glyphosate in experimental animals, there is strong evidence that glyphosate can operate through two key characteristics of known human carcinogens, and that these can be operative in humans. Wear personal protective clothing (wear long-sleeve shirts, pants, socks and shoes). Keep container stored away from water, food, feed, or seed. Avoid spills and surface contamination.